And why we’re the perfect dentist for nervous patients in Greater Manchester. The Internet address of our website is: www.gentle-dentists.co.uk and there is no doubt that this title really does reflect both our caring approach and our excellent reputation. Even in this day and age there are still lots of people who are nervous, or even downright scared at the prospects of having to visit the dentist. This may be as a result of a previous bad experience or it could simply be a phobia similar to a fear of snakes (even though the person is unlikely ever to meet a snake). At Carisbrook Dental however, we have a proud history of treating patients who have such fears and phobias and if you visit our Nervous Patent Care page you’ll immediately understand why. For those patients who are nervous we can now offer a number of treatment methods to alleviate fears and nervousness. 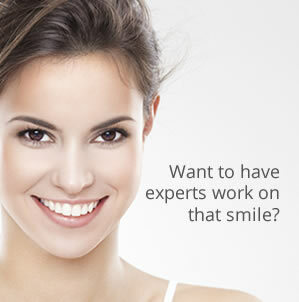 Look at our Nervous Patients page and you will see exactly how we can help. For instance, our philosophy is ‘Tell, Show, Do’ in which we firstly talk one-to-one with you to explain the treatment process. Then we will carefully and slowly lead you through the techniques we use and all this takes place before we ever visit the treatment room itself. Because we take things slowly, kindly and gently, without any kind of pressure, we ensure that you always feel in complete control, even during the treatment itself. In addition we also offer a Pain Management programme, where we can provide medication to ease your fears and ensure pain free treatment. It could be that we prescribe a calming and relaxing tablet, or alternatively we can apply an intravenous sedation into the back of your hand that will induce a feeling of almost, but not quite, being asleep. It is called ‘Retro Grade Amnesia’ and you enjoy totally painless treatment and best of all will recall absolutely nothing about it. At Carisbrook we are also one of the only dentists Manchester clinics to offer The Wand. This is a computer-controlled process that delivers a measured amount of anaesthetic, slowly and painlessly, to a precise spot on your gum. Because it is so gentle and precise you are assured that treatment is totally painless and you will not be left with a ‘dead gum’ or a floppy lip for the next few hours. If you are nervous about visiting a dentist then please Contact Us and arrange to have a friendly discussion with one of our team. You’ll enjoy the kind of reassurance that our Nervous Patient Care and Pain Management programmes bring to people from all over the country who now choose to visit Carisbrook Dental.